Load balancers, also known as Application Delivery Controllers (ADCs), are often being deployed with today’s enterprise and web applications. What should you look for in an ADC? What factors must you consider? What benefits should you make sure an ADC has to offer? In this post, I break down the top six pitfalls to avoid when selecting a load balancer to help guide your ADC purchasing process. In 2012 OpenFlow discussions turned into SDN ones. Related although different in significant ways, both OpenFlow and SDN drove a significant level of attention in the networking industry as Nicira’s Acquisition and Cisco’s moves served to establish the commercial value of SDN. In 2013, we are witnessing serious momentum in terms of discussions and start-ups around SDN. However, the questions remain as to which solutions will be successful and which solutions will become available in the market place first? Before starting to discuss where 2013 will take us with SDN, I’d like to recap some of the significant SDN events for 2012. Below is a breakdown of the major events in chronological order. As the industry and the media keep feeding the Software-Defined Networking (SDN) hype and vendors introduce SDN products into the market – it is becoming increasingly important to understand the difference between various offerings as well as the ways in which they can help end users. The majority of the discussion has centered on changes in forwarding functionality – the functionality of forwarding packets between interconnection ports of networking devices. With OpenFlow (which is not SDN, but is what triggered a lot of the SDN discussion) the intelligence making the forwarding decisions, which lies in the control plane, has moved out of the forwarding platforms that connect the external systems into the network and into the controllers. Here we have decoupled OpenFlow switches and controllers. 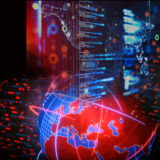 Anyone intimately connected to the world of server virtualization and cloud computing is no stranger to the name VMware. From an early stage, Radware and VMware have been strategic partners, delivering comprehensive and cost-effective virtual ADC solutions for enterprises and carriers operating in the cloud. Today, with the release of VMware’s Application Director 5.0, the two companies are offering an integrated virtual ADC solution that helps customers simplify and automate the management of their Software-defined-Datacenters (SDDC). Radware’s Alteon VA with VMware’s provisioning solution VMware vFabric Application Director is now generally available for download on VMware’s Cloud Application Marketplace. About a month ago, I wrote a post on cloud load balancing versus application delivery controllers. In that post, I explored the core differences between cloud-managed load balancing and self-managed commercial load balancing, using an application delivery controller virtual appliance running over cloud infrastructure. In part two of this series, I take a closer look at some of the themes laid out in my earlier post with an emphasis on the role application delivery controllers play in addressing the challenges associated with migrating legacy applications to a general purpose cloud infrastructure. Over the past 2 years, Radware has offered virtualized ADC appliances with virtual ADC instances that can be used on hardware appliances or on general-purpose servers. During this time, we’ve noticed two schools of thought emerging on the all-important question of vADC density. The first, argues that vADC density is one of the key criteria to consider when evaluating a virtualized appliance. The second, however, claims that organizations will typically avoid utilizing density higher than 10-16 vADC on a single piece of hardware. In search of greater clarity, we went back after implementing hundreds of ADC consolidation and virtualization projects with thousands of vADCs to check and see if there were any identifiable trends in vADC density deployment. Big news from Radware at VMworld. Today, Radware announced that its Alteon VA™ virtual appliance (one of many Radware application delivery solutions) has been integrated with VMware’s vFabric™ Application Director, a hybrid cloud provisioning solution. The joint solution is designed to simplify the creation of application deployment topologies across hybrid cloud services through the use of application deployment blueprints. Radware customers will be able to deploy their Radware Alteon VA in any VMware vCloud-powered private, public and hybrid clouds.